The Repêchage® FUSION™ Face & Body Sugar Scrub Collection helps make skin feel silky smooth and soft from head to toe. Our indulgent, cleansing and invigorating formulas gently exfoliate rough, dry skin, combining softening Sugar with sustainably-harvested Seaweed extracts and other natural ingredients to refine skin from the delicate face and décolleté to the derriere. These soft, creamy formulas, when massaged into the skin, provide a gentle and mild warming effect. The Repêchage® FUSION™ Matcha Lemongrass DEEP CLEANSE Face & Body Sugar Scrub smooths and exfoliates with Matcha Green Tea, Lemongrass, Aloe, a Multi-Fruit AHA Complex and Seaweed extracts to reveal skin that looks and feels rejuvenated and refreshed. Sugar’s small particles make an excellent topical exfoliator and are used in body scrubs to gently remove dead surface skin cells to reveal the glowing, healthy-looking skin underneath. Small sugar granules are generally gentler on the skin. Also sugar has natural humectant properties, drawing in moisture, making it suitable for more delicate areas of the body, including the arms and décolleté. A natural source of 12 vitamins including B12, C, E, K and Beta Carotene, 18 amino acids and 42 trace elements. This popular extract is known to contain minerals, amino acids, vitamins, and enzymes. Highly revered and harvested with great care in Japan, Matcha contains the entire tea leaf, and is a finely milled, high quality green tea. 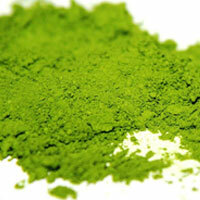 Rich in chlorophyll, Matcha is known as an excellent source of antioxidants. Bilberry, Orange, and Lemon fruit extracts combined with Sugar Maple extract form a natural AHA complex known to help improve moisturization and the texture of the skin. This fragrant ingredient is known to help cleanse and brighten the appearance of the skin. With moistened fingertips, apply scrub and massage gently over the skin. Leave on for 5 - 10 minutes. Rinse off at the sink or in the shower. Follow up with your favorite Repechage® cream or oil.